In our house, Saturday morning is the one day of the week that the box of bran cereal gets left in the cupboard. 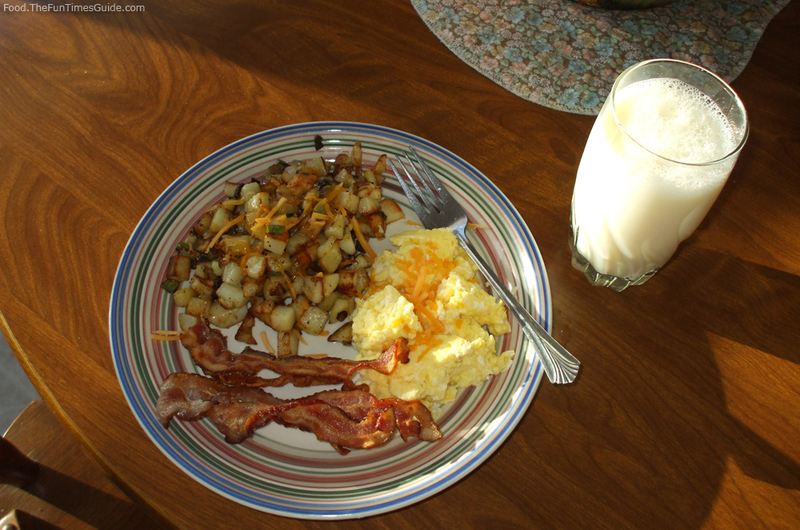 On weekends, my wife Mary and I like our breakfast to be more like a brunch — so a few extra calories won’t destroy a week’s worth of careful eating. After all, eating your main meal for lunch along with a lighter supper later in the day means your metabolism gets the opportunity to burn up the extra fuel before bedtime. We could also buy pre-packaged hash browns, but there’s a big difference between processed and homemade. When you combine long-term freezing and questionable storage while in transport (thawing and refreezing), store-bought hash browns just don’t compare to fried potatoes made fresh at home. Our favorite is an O’Brien style of potatoes. 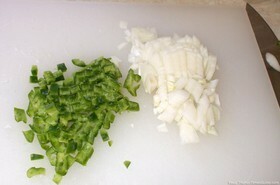 The addition of onion and green pepper just perks up the morning taste buds. These are simple and quick to make. The first step is to pick out your potatoes. While you’re peeling and cutting them into ½-inch cubes, you should have your electric skillet heating up to about 375 degrees. A standard frying pan on the burner will work too, but the electric skillet provides a more even heat. 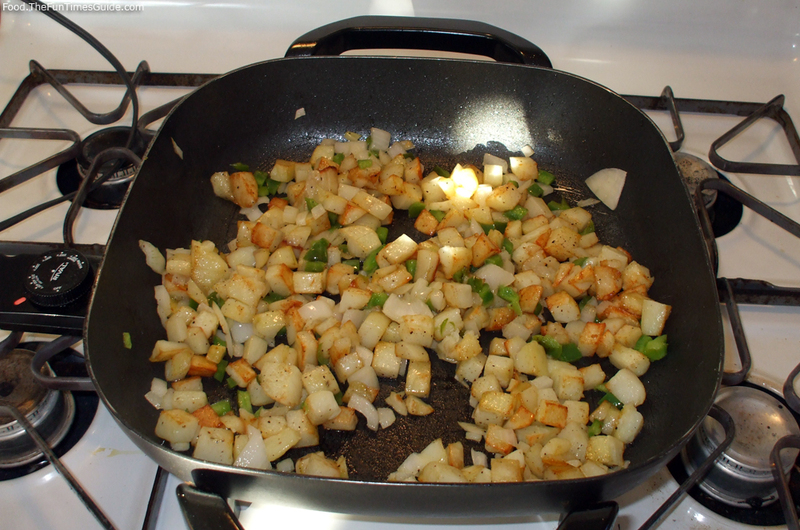 1o minutes or so into the cooking, when the potatoes are starting to brown, add some diced onion and green peppers. I keep a green pepper or two quartered and cleaned in a ziploc bag in the freezer for just such a dish when all I need is a piece or two for flavor. A good couple twists of the pepper grinder and a sprinkle of salt will be about all you need for seasoning. 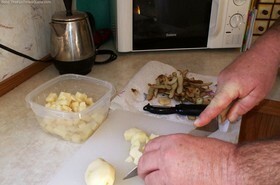 Throughout the cooking, turn the potatoes so they get evenly browned on all sides. Total cooking time may take 15 minutes or so. Combine this easy dish with a nice helping of scrambled eggs and a couple slices of crispy bacon and you’ve got a meal that will carry you through the day until supper time. It may not be much to some, but the $2-$3 you pay for that bag of processed hash brown potatoes can be replaced with a more satisfying, better tasting, homemade potato dish. It only costs pennies to make — especially when you buy your potatoes in 20-lb bags!